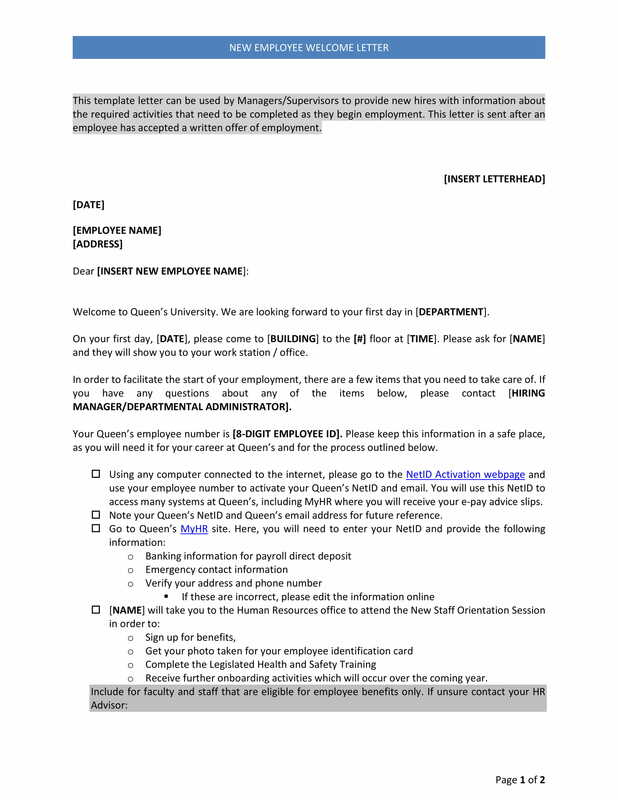 A new hire welcome letter is a document given by the employer to the qualified applicants who accepted their job offers. Most welcome letters are given once the decision of the applicant to be an employee of the business has been finalized. More so, some companies give it during orientation or the first day of work of the employee. If you want your new hires to be warmly welcomed, then give them a welcome letter as they immerse themselves in your business’ operations. Depending on the company that will employ an individual, making a new hire welcome letter can follow formal letter writing or it can also be in a form of a simple and informal note. 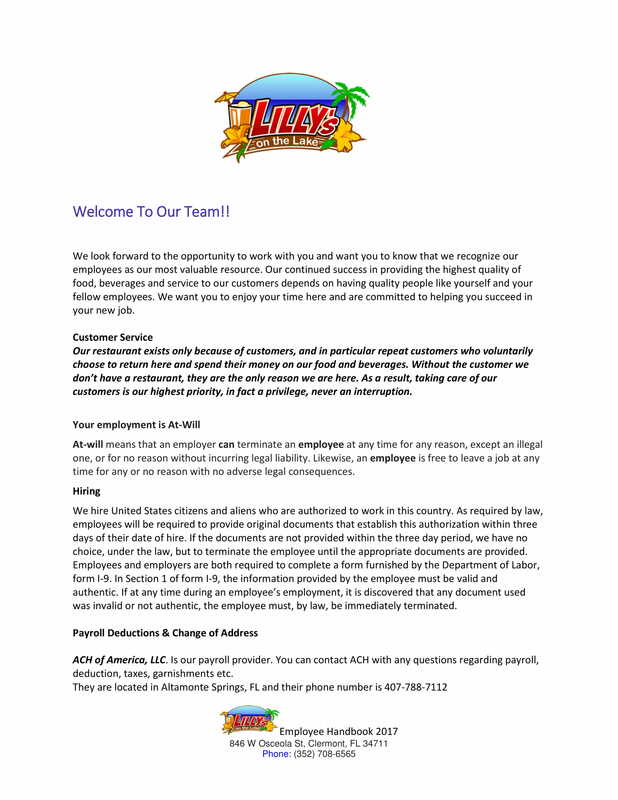 We have listed a number of new hire welcome letter examples for your reference. Browse through them as you create your own letter. Just like when making business reference letters, the person who will create a new hire welcome letter can impact the effectiveness of the document. The regulations of the company and the processes by the human resource department can specify the person who will be tasked to create the hew hire welcome letters. 1. 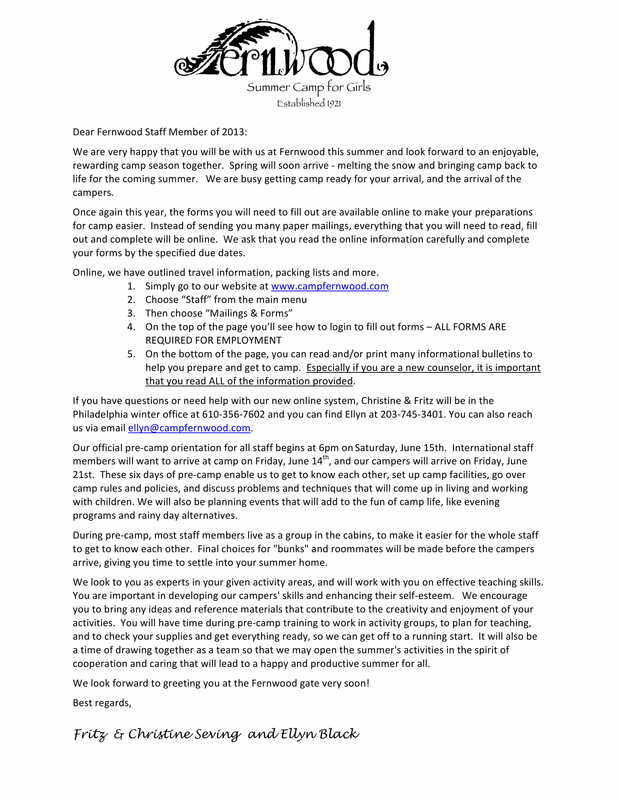 Manager/s of the department can give the welcome letter to the new employees. This is mostly to happen during the immersion of the new employee to the daily processes that are happening in the division. Also, the manager can give the letter to the employee during the tour of the office or the area for production or operations. You may also see application letters. 2. The supervisor or the immediate head of the employee can sometimes be the entity to hand the welcome letter to new hires. Since the supervisor will be working hand-in-hand with employees, providing a welcome letter can already establish a good professional relationship between the new hire and his or her immediate head. You may also see formal letters. 3. 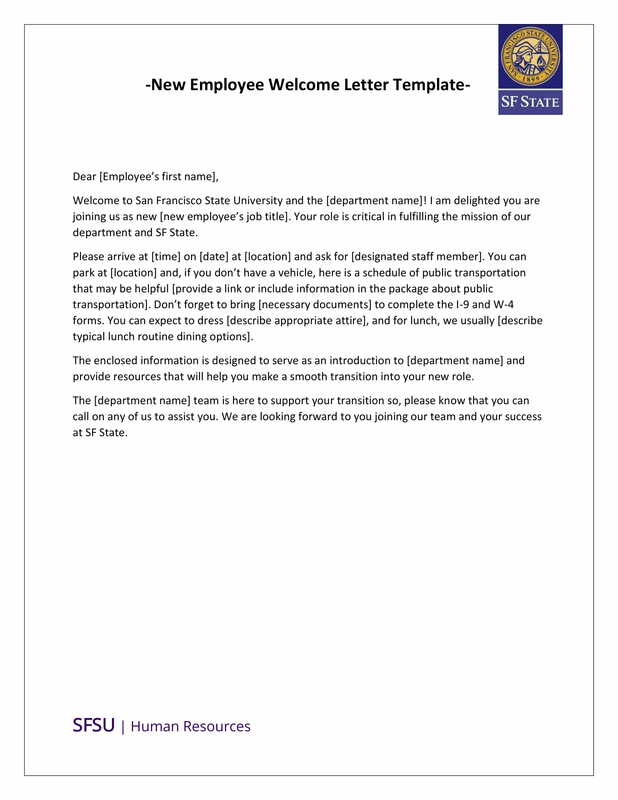 The human resource department can already include the welcome letter together with the other documents that will be placed in the onboarding kit of each employees. 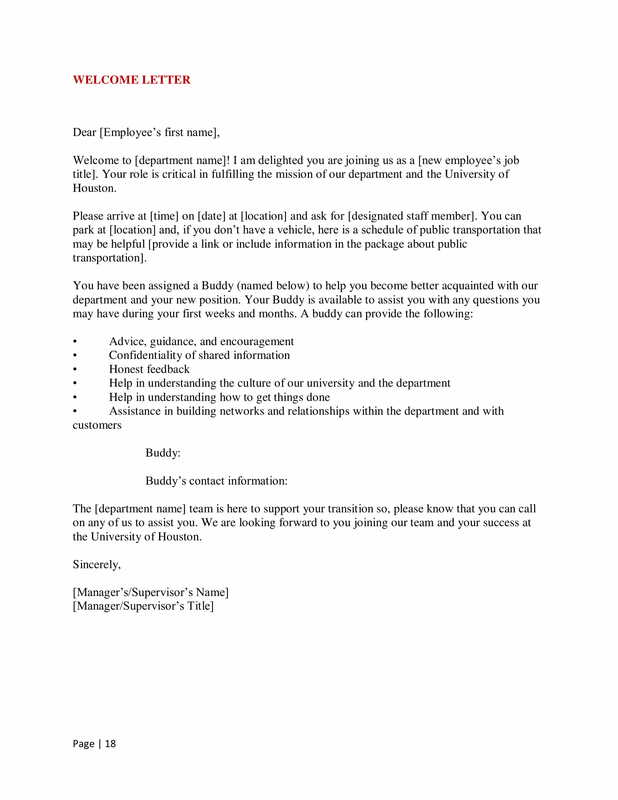 This is a more efficient way to disseminate this letter as it can already be one of the documents that the new hires will first browse through. You may also see email cover letters. 4. The representative of the management of the business can provide a new hire welcome letter especially if the new employee will be handling one of the key and high positions in the business. This can be observed during the employment of individuals for managerial and supervisory positions. You may also see thank you letters. 5. The general or operations manager of the company can sign a welcome letter for new employees. Most of these letters are usually done by the secretaries and are proofread by the managers before signing it. You may also see complaint letters. 1. A new hire welcome letter can make employees more excited to work and be productive. Feeling welcomed is a great experience especially knowing that the first day of work will not be all about discussing duties and responsibilities. You may also see acknowledgement letters. 2. A new hire welcome letter can already include important details that the new hire should be aware of. These information include expected deliverables, work demands, orientation schedule and the like. 3. 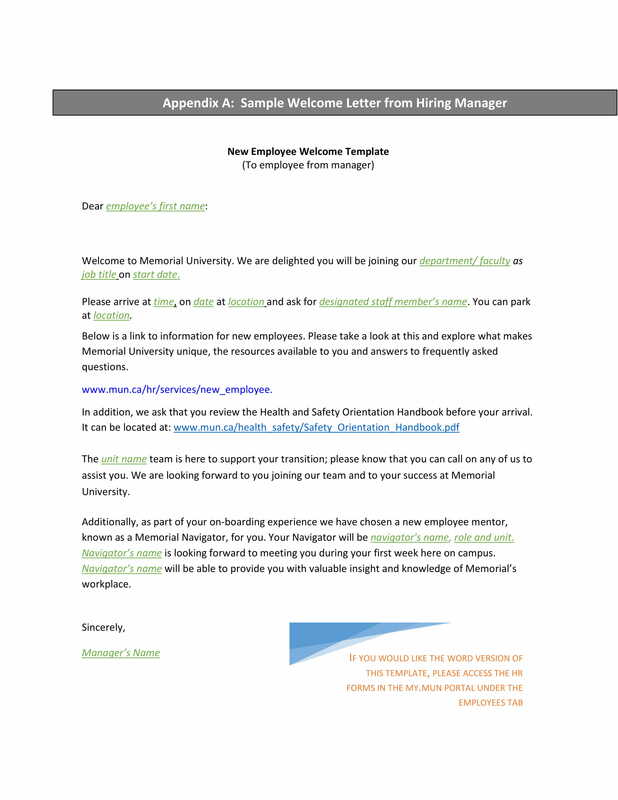 A new hire welcome letter can provide an avenue for the employees to feel the professional vibe of the environment without being intimidated. If they will feel that they are a part of the workforce and they are given importance, then it can be a good way for the company and employees to support each other. You may also see offer letters. 4. 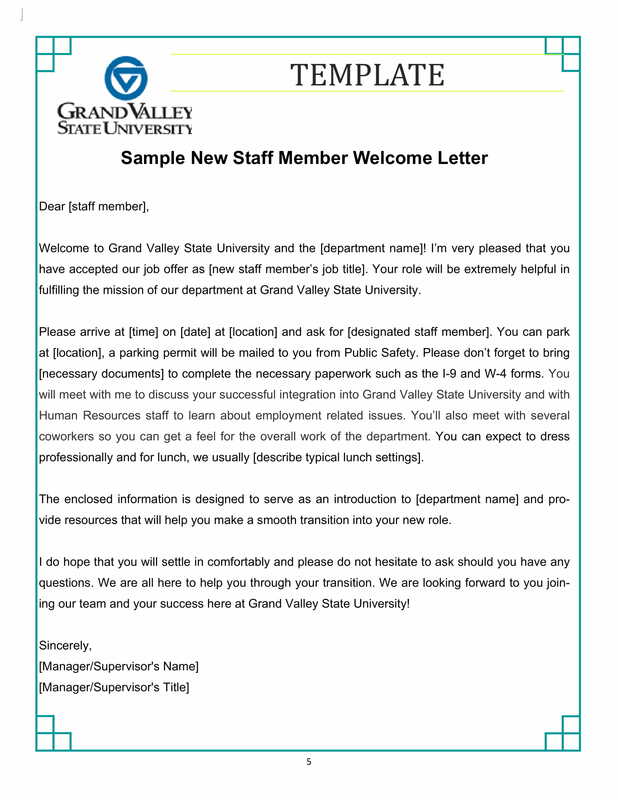 A new hire welcome letter can showcase the organization of the human resource department and the management. Through this document, employees can have an idea that their employment processes are well-arranged which will enable the employer to be looked as credible and welcoming. You may also see complaint letters. Just like when making reference letters, ensure that you will place the correct information of the individual. 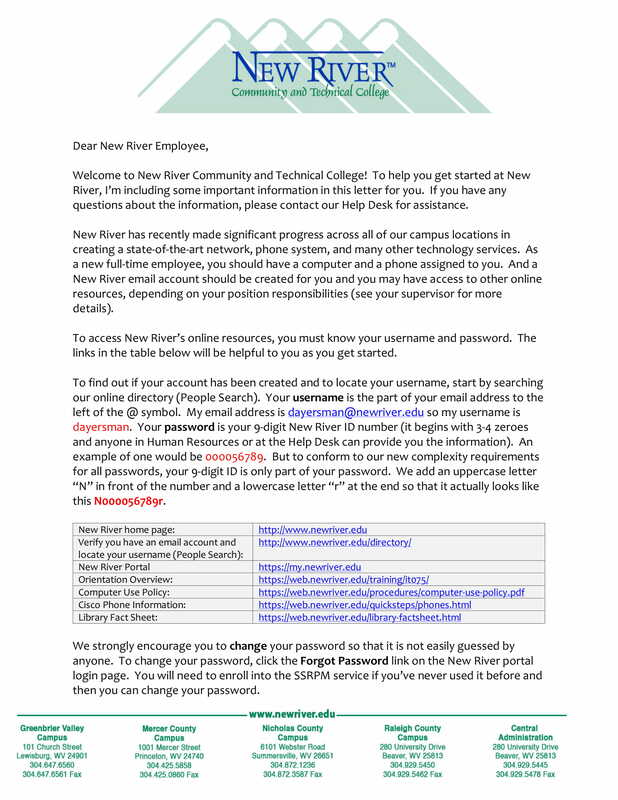 The new hires will feel truly welcomed if the letter that you will provide them will contains accurate personal information. Do not forget to review the entirety of the new hire welcome letter. You should make sure that the letter is updated and that there are no misleading information present in the document. You may also see recommendation letters. Refer to templates for formatting purposes. There are different templates that you can use as guides but make sure that your new hire welcome letter will still reflect the branding and aesthetic of the business. 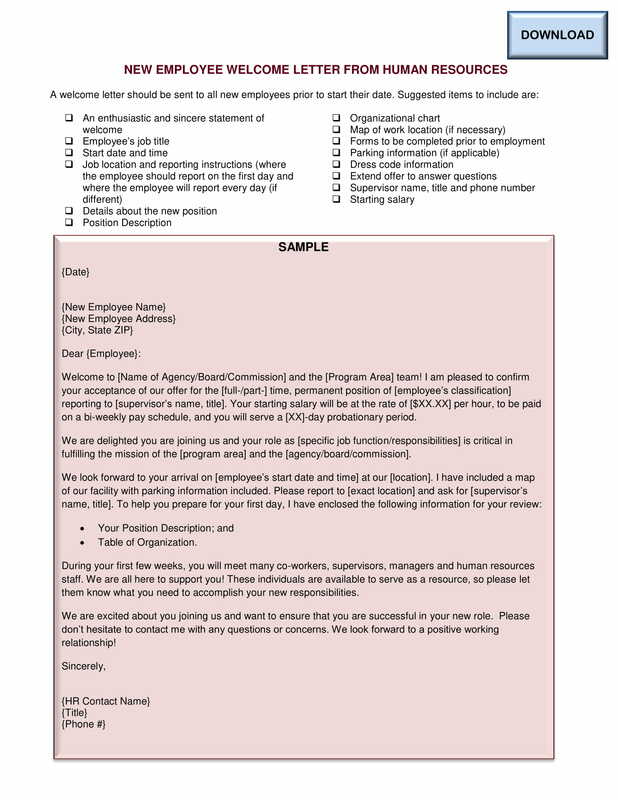 Make a new hire welcome letter that is as precise as possible. Be specific with what you would like to discuss so you can easily present the business to the employee in a brief yet welcoming manner. You may also see two weeks notice letters. 1. Creating a new hire welcome letter can help the human resource department to present the business accordingly. Through a new hire welcome letter, the business can specify corporate details that can impress new hires especially if they are truly thankful for the opportunity of being employed by the company. You may also see resignation letters. 2. Having new hire welcome letter can make employees feel valued and appreciated. This can lead to a healthy and employee-friendly workplace. 3. Making a new hire welcome letter is not just about welcoming the new employee. This can also be a way to remind them of their schedules, the regulations of the business and other initial information that is important to be known and acknowledged by the new hires. You may also see notice letters. 4. Developing a new hire welcome letter can serve as the introduction of the work designation of the employee. More so, you can include items of discussion about product knowledge, first call to actions, and work processes. You may also see employee reference letters. Just as how there are ways on how not to write business letters, there are also a few things that you should not do when making new hire welcome letters. If you are guided by proper tips and references, then you can make sure that you will avoid pitfalls that can negate the objective of the business when making this document. Select any of the downloadable samples that we have prepared for you so you can come up with a format or a layout for your welcome letter. You can also follow the discussion present in the samples if you would like to. However, we suggest you to come up with a unique way of welcoming your employees through a letter without veering away from the image that the business would like to portray. 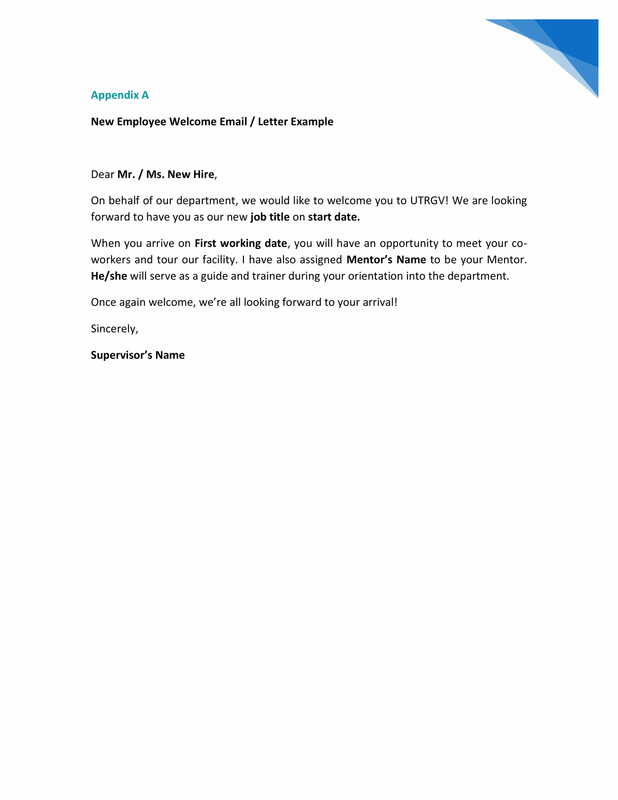 Try making your own new hire welcome letter now and make your new employees feel the warm regards of the management and other entities within the workplace. You may also see termination letters.